Ishrana po krvnim grupama je nastala prema biološkom razvijanju krvnih grupa od nastanka čoveka. U zavisnosti od vremenskog perioda i toga šta je čovek prvo počeo da koristi za ishranu i šta je u međuvremenu otkrivao i pronalazio u prirodi, do toga kada je otkrio da je meso ukusnije kada se preradi tj ispeče , početka proizvodnje mlečnih prozvoda, namirnica od žitarica, voća i povrća. Stručnjaci koji se bave ishranom prema krvnim grupama objašnjavaju da ljudi sa različitim krvnim grupama ne mogu podjednako dobro da svare određenu vrstu hrane. Svaka krvna grupa poseduje različite antigene sa posebnom hemijskom strukturom. I samo ime krvne grupe je nastalo po antigenu grupe koji se nalazi na crvenim krvnim zrnicma. Srž teorije o krvnim grupama čini otkriće da se antigeni krvnih grupa – različito ponašaju u biohemijskim reakcijama sa određenim namirnicama (to jest nekim njihovim sastojcima). U nastavku ćemo videti koja hrana kojoj krvnoj grupi odgovara a koja ne. Ljudi sa ovom krvnom grupom imaju otporniji sistem za varenje. Oni su mesožderi , pa im odgovaraju životinski proteini i manje količine voća i povrća. Ova krvna grupa teže podnosi ugljene hidrate i proizvode sa glutenom kao i mlečne proizvode. Trebalo bi da izbegavaju kafu jer i sami proizvode mnogo želudacne kiseline. Ljudi sa ovom krvnog grupom imaju slabu toleranciju na proteine. A krvna grupa ima osetljiv sistem za varenje i preporučuje im se klasična vegeterijanska ishrana, sa manje mlečnih proizvoda. Zbog manje proizvodnje želudačne kiseline oni koji poseduju ovu grupu imaju problema sa varenjem mesa i apsorbcijom vitamina B 12. Ishrana koja sadrži enzime betain, papin i bromelain se preporučuje ovoj krvnoj grupi. Ova krvna grupa je otpornija i podnosi gotovo većinu namirnica. Oni koji poseduju B krvnu grupu trebaju da izbegavaju hranu sa glutenom i pšenicnim produktima, a dobro podnose mlečne proizvode. Ova krvna grupa je veoma retka, procenjuje se da svega 5% stanovništva je poseduje. Ona je nastala najkasnije. Dobre namirnice: jagnjetina, ćuretina, tunjevina, morski plodovi i riba, mlečni proizvodi, voće i povrće, ulja. Talking and listening to the experiences and impressions of others I have concluded that everyone has a favorite muscle group, that I’d like to put that muscle is most pronounced. The vast majority asks me and is interested in the side crunches – EXTERNAL oblique abdominal muscles. We will explain the anatomy of these muscles, exercises to strengthen it and a couple of tricks in order to be more pronounced. 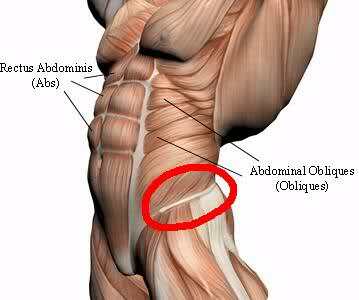 The external oblique muscle is located on the side and front parts of the abdomen. For most people, is not visible due to the subcutaneous adipose tissue and small size of muscle. Today people make mistakes because they devote more attention to strengthening the central abdominal wall with no or very little commitment on the side of the abdominal wall. The weak side muscles of the abdominal wall leading to deformities of the spine, curves back, pain in the lumbar region and imbalance of the entire muscular musculature. These muscles are very important, and many of those who engaged in their sport have frequent rotation of troops in relation to the lower body (tennis, judo …). Observe full rotation of troops, in addition to going to the left elbow right knee and touch it, and vice versa with the deflections of the hull and legs, hands are crossed at the back. 2 sets of 12-20 repetitions each side. Enduring the side plank position. A tight the whole musculature, the focus is on the abdomen, lower back, legs stretched. 2 sets each side of 10-30 seconds. Hull and feet were lifted off relying on the buttock with his hands crossed on his chest. The rotation of troops on both sides along the touching surfaces with crossed hands (ie the ball). 2 series 10-20 rotation in each direction. With weight in one hand and another hand behind the nape, drawing freehand – elbow down and forced opening of this without bending the arms. 2 sets of 10-20 repetitions each side. 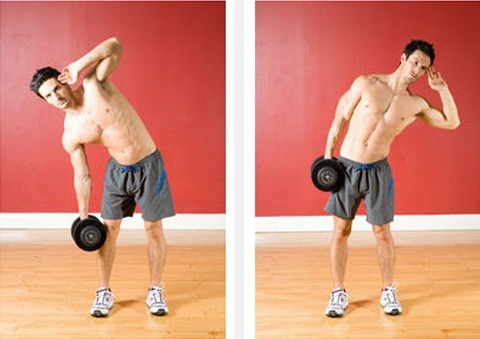 With one hand grasping for the lower cable with the use of opposing lateral muscles make tilt in the opposite direction. 3 sets each side, 10-20 repetitions. Hang out on the shaft, deflections banded or straight legs toward the trunk of one and half way across, focus on fixed hull. 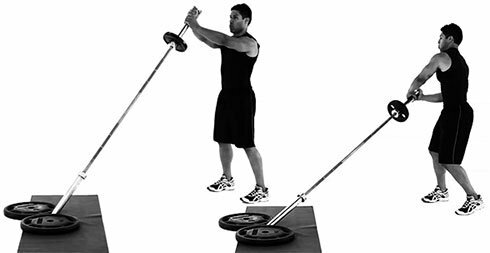 3 sets of each party, 8-15 reps. Rotating troops standing with the bar at one end fixed to the floor. Rotating in one or another side, arms extended with a grip at one end rods, rotation of troops from lowering the end of the rod to the hook and return the other way, slightly bending arms at the elbows, knees slightly bent during the rotation with a vertical rise opposite the heel of the hand rotation. 3 sets of 10-20 repetitions to each side. The lateral abdominal muscles do not need to train every day, it is sufficient to 2-3 times a week, do 3-4 exercises. Like any other muscle and the external oblique muscle side next to the appropriate forms of exercises and increases sufficient intake of proteins that are the building component of muscle. Another important thing is the diet that is the removal of fat to muscle was as pronounced. In addition to diet and proper nutrition is necessary and appropriate cardio (running, cycling, rowing) at least 20 minutes to cause decomposition of fat deposits and fat burning. We often have opportunity to see, in restaurants and cafés, bowls of water served with various vegetables and fruits. In this article we will explain what is a detox water, what properties it has, and what the best ingredients it contains. Whether you’re trying to lose weight or just want to look and feel healthier, one of the best ways to free your body of harmful toxins is to drink water. Only 6 to 8 glasses a day will help you stay hydrated and keep the vital organs in their best possible health. Detox water speeds up metabolism and only in this capacity effective in removing fat and excess weight (by itself does not come off the pounds that we have the opportunity to read or hear). There are several foods that you can add to your water that will not only improve the taste of water, it will also help in the preservation of health. 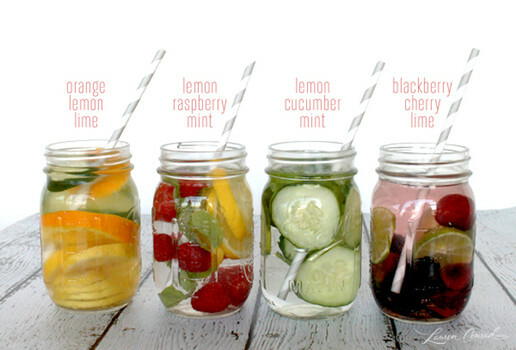 Detox water has become very popular and there are many different recipes that you can use. These waters contain ingredients like lemon, which helps flush out harmful toxins from your body, the mint that helps in digestion, cucumber, which contains anti-inflammatory properties of ginger which is a natural remedy pain and helps digestion. Some water can contain melon, raspberry, and other ingredients that are both healthy and useful for the organism. Detox water to accelerate the metabolism. Cucumbers are diuretics that can help you avoid water retention in the body. Lemon and lime will help to remove toxins from your digestive tract and grapefruit will help you speed up your metabolism and burn fat faster. Add 2l spring water, ½ medium grapefruit (chopped), ½ cucumber (chopped), add chopped ½ lemon and a few mint leaves. Leave for at refrigerate several hours before serving and drink at least ½ liters a day for optimal results. Fruit detox water. Includes strawberries and kiwi and it is a perfect summer drink. 2 liters of water, a few strawberries and a few sliced ​​kiwi. Allow the recovery period of several hours in the refrigerator. Kiwi contains vitamin A and E, which will help you to get rid of free radicals and also helps to wash the toxins out of your colon. The berries are great for your skin, contain anti-aging properties and help fight carcinogens. Apples and cinnamon detox water. Except it does not contain calories, this water also helps to boost your metabolism. It adds chopped apples and cinnamon sticks in quantities as desired. Served with ice cubes. The New Year detox water. You need a gallon of spring water and a few raspberries, along with chopped grapefruit, cucumber, pears and a couple of fresh mint. You can also add lemon, blueberries and cranberries, if desired. Just add all ingredients in a pitcher and let it sit for so few hours so that the flavors combine. It affects the removal of toxins from the body and accelerate metabolism. Detox water with strawberries and watermelon. Affects Metabolic and preservation of the skin. It is full of vitamins and anti-inflammatory ingredients. A cup of strawberries, 2 cups watermelon, a few sprigs of fresh rosemary, filtered water and a little salt. Just stir together the berries and rosemary in a bowl, then add them to the bowl of watermelon. Pour the filtered water over it, let it sit for a few hours in the fridge. Cucumber and lemon water detox. This water is great for strengthening your immunity and cleansing of harmful toxins. Cucumber is an anti-inflammatory and helps you stay hydrated. Appendix mint beautifies drink without added sugar and helps digestion. A couple of slices of lemon, cucumber and a little mint leave it overnight in the fridge. Aloe Detox water. Did you know that you can add it to your water? When using aloe that can help circulation and digestion, you can increase your energy and eliminate fatigue. You need to share the aloe leaf down to the center and to remove the gel. Mix the gel with a little water and lemon in a blender. All you need is one cup water, 2 tablespoons of lemon juice and about 2 tablespoons of aloe gel. Često imamo prilike da vidimo , po restoranima barovima I kafićima, da se bokali vode služe sa raznim povrćem I voćem. U ovom članku ćemo razjasniti šta je detox voda , kakva svojstva ona ima, i kakve sastojke je najbolje da sadrži. Bez obzira da li pokušavate da izgube težinu ili jednostavno želite da izgledate i osećate se zdravije, jedan od najboljih načina da oslobodite svoje telo od štetnih toksina je da pijete vodu. Samo 6 do 8 čaša svaki dan će vam pomoći da budete hidrirani I da držite vitalne organe u njihovom najboljem mogućem zdravlju. Detox voda ubrzava metabolizam I samo u tom svojstvu ima efekta u skidanju masnih naslaga I viška kilograma ( sama po sebi ne skida kilograme kako imamo prilike da pročitamo ili čujemo). Postoji nekoliko namirnica koje možete da dodate u svoju vodu koje ne samo da će poboljšati ukus vode, već će vam pomoći i u očuvanju zdravlja. Detox voda postala je veoma popularna i postoji mnogo različitih recepata koje možete koristiti. Ove vode sadrže sastojke poput limuna koji pomaže za ispiranje štetnih toksina iz vašeg tela, nane koja pomaže u varenju, krastavac koji sadrži anti-inflamatorna svojstva i đumbir koji je prirodni lek protiv bolova i pomaže pri varenju. Neke vode sadrže dinju, malinu i druge sastojke koje su podjednako zdravi i korisni za organizam. Detox voda za ubrzavanje metabolizma. 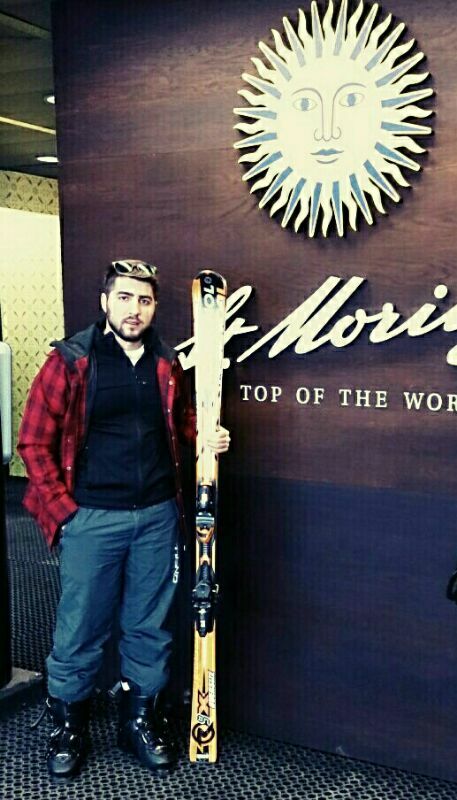 Krastavci su diuretici koji mogu pomoći da izbegnete zadržavanje vode u telu. Limun i limeta pomoći ce vam da izbacite toksine iz svog digestivnog trakta i grejfrut ce vam pomoći da ubrzate metabolizam I sagorite masti brže. Dodajte 2l izvorske vode, ½ srednjeg grejpfruta (seckanog), ½ krastavac (seckanog), dodajte jos ½ seckanog limuna i par listova nane. Ostavite da odleži u frižideru nekoliko sati pre serviranja i popiti najmanje ½ litre dnevno za optimalne rezultate. Voćna detox voda. Sadrži jagode i kivi i savršeno je letnje piće. 2 litara vode, nekoliko jagoda i nekoliko kivija iseckanih. Ostaviti da odleži nekoliko sati u frižideru. Kivi sadrži vitamin A i E koji će vam pomoći da se oslobodite slobodnih radikala I takodje pomaže da se isperu toksini iz vašeg debelog creva. Jagode su odlične za vašu kožu, sadrže anti-aging svojstva i pomažu u borbi protiv kancerogene supstance. Jabuka I cimet detox voda. Sem što ne sadrži kalorije ova voda takođe pomaže da poboljšate svoj metabolizam. Dodaje se seckana jabuka I štapic cimeta, u količinama po želji. Služi se sa kockama leda. Takozvana novogodišnja detox voda. Treba vam galon izvorske vode i nekoliko malina, zajedno sa seckanim grejpfrutom, krastavacem, par krušaka i sveža nana. Takođe možete da dodate limun, borovnice i brusnice, ako želite. Samo dodajte sve sastojke u bokal i ostavite ga da tako odstoji nekoliko sati, tako da se ukusi kombinuju. Utiče na izbacivanje toksina iz tela I ubrzavanje metabolizma. Detox voda sa jagodama i lubenicom. Utiče na ubrzavanje metabolizma I očuvanje kože. Puna je vitamina i anti-upalnih sastojaka. Šolja jagoda, 2 šolje lubenica, nekoliko grančica svežeg ruzmarina, filtrirana voda I samo malo soli. Samo promešajte jagode i ruzmarin zajedno u činiju, a zatim ih dodajte u bokal sa lubenicom. Sipajte filtriranu vodu preko toga, ostavite da odstoji nekoliko sati u frižideru. Krastavac i limun detox voda . Ova voda je odlična za jačanje vašeg imuniteta I za čišćenje od štetnih materija u organizmu. Krastavac je antiinflamatorno sredstvo i pomaže vam da ostanete hidrirani. Dodatak Nane ulepšava piće bez dodatka šećera i pomaze pri varenju. Par kriski limuna, krastavaca I malo nane ostaviti da prenoći u frižideru. Aloja detox voda. Da li ste znali da možete da je dodate u vašu vodu? Kada koristite aloju to može pomoći pri cirkulaciji i probavi, mozete povećati svoju energiju i eliminisati umor. Treba da podelimo list aloje na dole ka centru i da uklonimo gel. Pomešajte gel sa malo vode i limuna u blenderu. Potrebno vam je jedna šolja vode, 2 kašike limunovog soka i oko 2 kašike aloja gela. Probably everybody think that protein is building block of muscle tissue and fat building block fat, but proteins can act as grease under certain physiological conditions. The primary role of the protein is to provide the building blocks, or amino acid that is synthesized by the structural and functional proteins in the body. However, the amino acid from the muscle can also be converted into molecules to be used for energy if you are undereating. In contrast, the introduction of excess calories will cause that the additional amino acids are converted into the fat molecules. Excessive amounts of protein can be converted into fat, especially if you eat too many calories. 2012T study published in the Journal of the American Medical Association showed that people who eat more than 1,000 calories per day than allowed, received a similar amount of body fat regardless of how much protein they enter. Does protein drinks melt fat? Protein drinks products companies can claim that their products melt fat, but there is no food that can selectively reduce fat in the body. Protein drinks can help to stabilize blood sugar levels, which will prevent overeating later in the day. Drink protein can be a convenient way to restore depleted nutrients. However, the protein shake must be part of a child and ways of practicing for causing loss of body fat. Can protein take the place of carbohydrates and fats in your body? Protein is essential for building and renewal of cells and tissues. However, carbohydrates and fats have features which protein can not be replaced. Protein is the most inefficient source of energy in comparison with carbohydrates and fats. The process for enzyme activity requires energy, which could be danger if only source of energy is from protein. Fats are also essential for the creation and release of certain hormones. Can I continue to lose body fat by taking Whey protein? Whey proteins, made from the process of conversion from cow’s milk to cheese,is a popular protein supplement, because it is one of the most efficiently absorbed forms of protein. Whey protein will not impair your ability to lose fat as long as you do not eat more calories than your body needs. Whey Protein Isolate is the 100% whey protein and having less calories per gram then concentrated whey protein, which has a carbohydrate and fat along with the protein. Isolate is a better option if you’re trying to lose weight. If you want to build muscle and lose fat it will be much more effective if you go to completely take the time to increase muscle mass than fat-burning period. The period which you will be able to make it happen is approximately 3 months to increase muscle mass and 3 months for a child to lose fat or shorter time for both periods but must be the same length of time, it all depends on personal preferences, how much muscle you want to gain and fat to lose. Verovatno mislite da je protein samo gradivni element mišićnog tkiva, a mast gradivni element masnog tkiva , ali proteini mogu da deluju kao i masti pod određenim fiziološkim uslovima. Primarna uloga proteina je da obezbedi gradivne blokove, ili amino kiseline, da sintetišu strukturne i funkcionalne proteine u telu. Međutim, amino kiseline iz mišića mogu takođe da se konvertuju u molekule koji se koriste za energiju ako se potrose ostali izvori energije. Nasuprot tome, unošenje viška kalorija izazvaće da se dodatne aminokiseline konvertuju u molekule masti. Unošenje prekomerne količine proteina može se pretvoriti u masti, posebno ako jedete previše kalorija. 2012te studija objavljena u časopisu Američkog medicinskog udruženja pokazala je da su ljudi, koji unose više od 1.000 kalorija dnevno od dozvoljenog, dobili sličnu količinu masti u telu bez obzira na to koliko proteina su unosili. Da li proteinski napitci tope masti? Proteinska pića koja proizvode kompanije mogu da tvrde da njihovi proizvodi tope masti, ali nema hrane koja može selektivno smanjiti masti u telu. Proteinska pića mogu pomoći za stabilizaciju nivoa šećera u krvi, što će sprečiti prejedanje kasnije u toku dana. Piti proteine može biti pogodan način da se obnove potrošene hranljive materije. Ipak, proteinski šejkovi moraju biti deo dijete i načina vežbanja za izazivanje gubitka telesne masti. Mogu li proteini da preuzmu funkciju ugljenih hidrata i masti u vašem telu? Protein je od suštinskog značaja za izgradnju i obnavljanje ćelija i tkiva. Međutim, ugljeni hidrati i masti imaju funkcije koje protein ne može da zameni. Protein je najneefikasniji izvor energije u poređenju sa ugljenim hidratima i mastima. Proces delovanja enzima zahteva energiju, što može biti ugroženo ako je izvor energije samo iz proteina. Masti su takođe od suštinskog značaja za lučenje I stvaranje nekih hormona. Mogu li se i dalje gubiti telesne masti uzimajući Whey protein? Proteini surutke, napravljeni iz procesa pretvaranja kravljeg mleka u sir, je popularan proteinski dodatak, jer je to jedan od najefikasnije apsorbovajući oblik proteina. Whey protein neće ugroziti vašu sposobnost da izgubite masti sve dok ne jedete više kalorija nego što je vašem telu potrbno. Whey protein Isolate je 100% protein surutke i ima manje kalorija po gramu od koncentrovanog proteina surutke, koji ima ugljene hidrate i masti zajedno sa proteinom. Izolat je bolja opcija ako pokušavate da izgube težinu. Ako želite da izgradite mišiće a izgubite masti to će mnogo efikasnije ići ako potpuno odvojite vreme za povećanje mišićne mase od perioda sagorevanja masti. Period za koji ćete moci to da ostvarite je od prilike 3 meseca za povećanje mišićne mase I 3 meseca dijete za gubljenje masti ili kraći period za oba ali periodi moraju biti jednake vremenske duzine trajanja, sve zavisi od ličnih želja tj. koliko mišićne mase želite da dobijete I masti da izgubite. 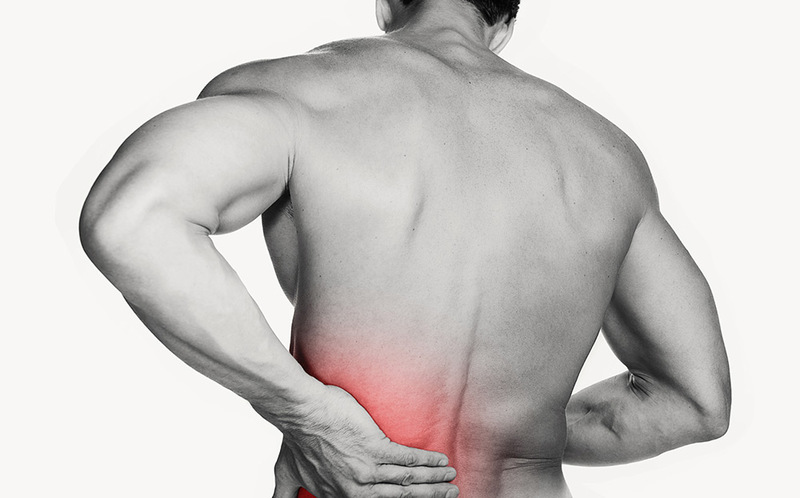 Inflammation of the muscles (muscle soreness) is the result of intensive muscle training load at the start of training period or after a period of reduced work or brake. Acute inflammation of the muscles occurs at the end of the training, while the deferred inflammation develops day or two after training. Muscle inflammation, whether it is an infection of an individual muscle or muscle groups hoped, in fact arise when a particular muscle or muscle group formed by excess secretion of lactic acid. Lactic acid is a product of metabolism, which occurs due to an insufficient supply of oxygen in muscle tissue. 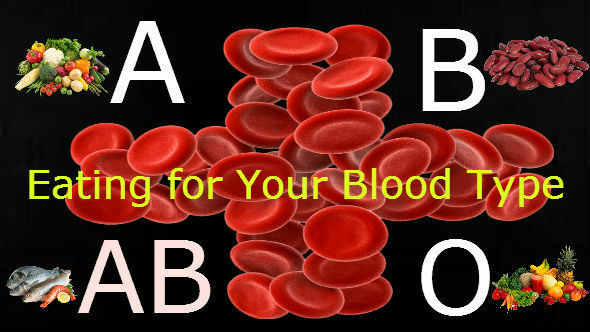 This phenomenon occurs due to strenuous exercise, since blood vessels through which oxygen delivery to muscle tissue, do not achieve to provide and transmit sufficient oxygen. In proportion, it is clear that the inflammation of the muscles stronger and more painful, if in them a greater presence of lactic acid and lactic acid secretion degree, directly depends on the pace of physical activity or exercise and whether the oxygen supply to the tissues is sufficient or not. When intense muscular effort, the pace of creation of lactic acid is much faster than the pace of removal and therefore its concentration in the blood rises. Accelerating the elimination of lactate from the blood, created during exercise, would have positive effects in terms of faster recovery of the body. The concentration of lactate in the blood decreases rapidly during the recovery phase, if it continues with muscle exertion of lower intensity. Active recovery in the form of moderate physical activity more effectively speeds up the removal of lactate than passive recovery, due to the fact that the dispute is activated muscle fibers that metabolize lactate generated during exercise. It should take into account the interval workout that can maintain low levels of lactate, to reduce muscle fatigue and increase the quantity of labor. Warming up before and stretching after training are still one of the recommendations. Also, a moderate walk, resulting in the elimination of inflammation, will help and adequate intake of fluids in the body and enhanced intake of magnesium, which acts to prevent the occurrence of spasms and muscle spasm, which often accompany painful inflammation. Sore muscles can heal and cold compress. On painful areas can put some ice or something cold, but always make sure for frostbite.